I’m switching the weekly wrap-up a little tonight for this Sunday night rendition of the weekly wrap-up! I am sorry – I know this is late…it’s Sunday already?!!? Ugh…not fun. But I figured I would spend some time with you guys since I have been absent since, oh, Thursday was it? I have good excuses and good things to tell you about from last week that have kept me away for so long! 1) Like this adorable, little baby girl! - my how time flies! 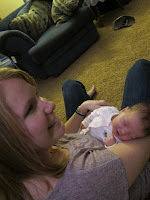 Friday night we went out with our friends and Miss Briley – she is so cute and getting big so fast! 2) Booking our flight to Las Vegas for next month! 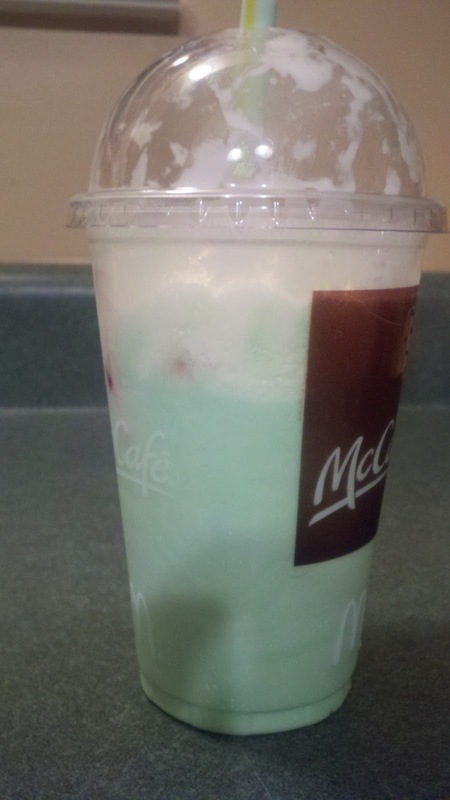 3) Saturday night for St. Patty’s day, I had the chance to enjoy my own little piece of the action with a Shamrock shake! YUM! 4) Amazing spring weather for the last week with clear skies during the day and clear starring nights! Love it!!! Congratulations! I will send your addresses along to R.W. Knudsen and they will ship the product to you! And thank you R.W. Knudsen Family for great products and everything else that you do!